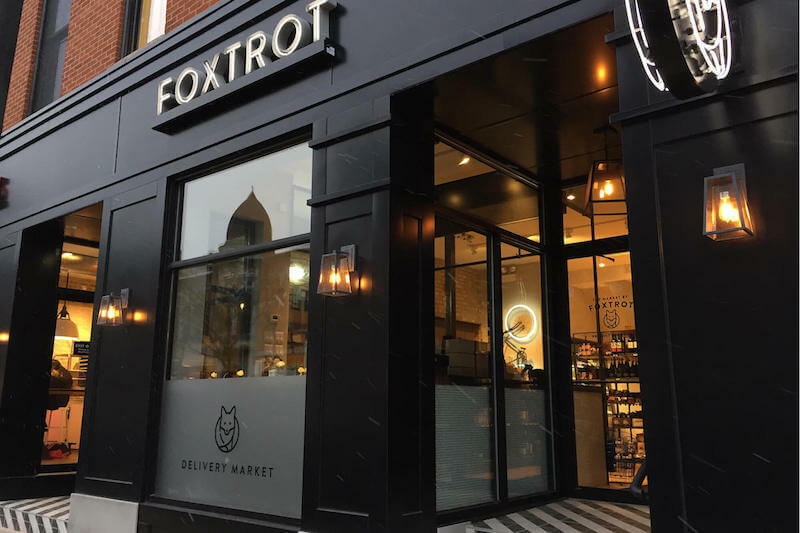 Foxtrot Market, 900 W. Armitage, is scouting Division Street sites where only restaurants have been allowed new liquor licenses. Vora Certified Public Accountants, 1708 W. Chicago Ave.
Mike LaVitola of Foxtrot presented his concept for an upscale boutique grocery store. There are two locations in Chicago: Lincoln Park and Fulton Market. His request is for EVA to approve a lift of the the moratorium on new packaged goods licenses from Wood to Ashland on both sides of Division Street. Foxtrot also seeks an incidental license to serve beer and wine on premises at night. A specific location for the market has not been named. Serving coffee, beer and wine. Selling packaged wines, beers and liquors. Offering groceries and lifestyle goods. Ald. Proco Joe Moreno and Foxtrot have discussed attaching a binding Plan of Operation to the license. The Planning, Preservation & Development Committee will make a recommendation to members once we have the plan, potentially for a vote at the July 10 membership meeting. This is the Grace Auto site on the Ukrainian Village side of the street. We would like to promote a community meeting with the Ukrainian Village Neighborhood Association in the lead and Ald. Brian Hopkins on hand to hear the pitch. EVA will be asking for volunteers to man the booth and encourage new memberships. This signup will posted on the website. West Fest dates: July 7-9. Garage variance on 1101 N. Hermitage to build a stair in a garage set back in an RT-4 zone. All neighbors on this block have this variance. Brian Foote is preparing a letter to approve of the action. EVA Treasurer: Michelle Gansle will replace Peter Gariepy. West Town Chamber of Commerce: Master Plan is available and was released online. Candidate Forum: A time has not yet been selected.